Epiphany D1 Review: Buy it or Leave it? We came to know Epiphany D1 through a colleague who commented on how cool the bottle design looked. Curious to see if the product is actually any good, we began our research. 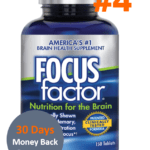 Their slogan is “Turn your potential into prosperity” and they claim that their product can enhance memory, focus, motivation, energy and more. 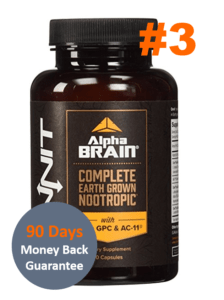 With their main ingredients being Aniracetam, Oxiracetam and Alpha GPC, can this product really fulfill its promises to boost cognitive function or is it just another average supplement? Each capsule contains over 20 ingredients including vitamins and minerals, so there was no way we can go over every single one. We did, however, manage to pick out the key ingredients from the formula that we think are the main players. 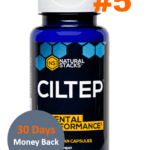 One of the most effective nootropics from racetam family, aniracetam works with acetylcholine and AMPA glutamate receptors in the brain to reduce anxiety and improve memory capacity. Marked as a study drug, oxiracetam works best to improve verbal fluency, improve processing and analysis skills. This version of Vitamin B1 has been shown to improve aspects of memory. 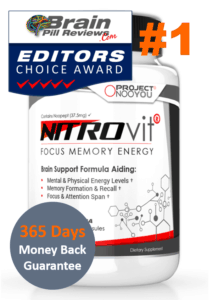 Improves cell-to-cell communication, which is beneficial towards memory formation, learning and thinking capacity. 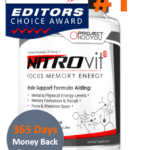 The world’s favorite nootropic is packed in at 95 mg per capsule. Caffeine is an effective stimulant that can instantaneously improve mental alertness and increase energy. Bacopa is an herb known to have beneficial effects on memory. It also has neuroprotective properties, meaning it protects our brain cells from damage. Works by increasing blood flow to the brain and improving oxygenation, which leads to increased focus and concentration. While the ingredients included in the formula seem like good choices, we noticed that the dosages aren’t quite where they should be. Aniracetam, for example works most effectively when taken at a dose of 750 to 1,500 mg per day. 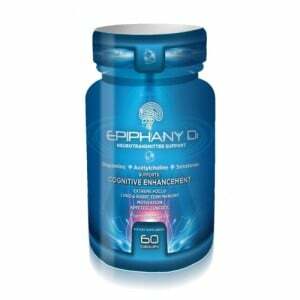 Epiphany D1, however, only packs in 200 mg. More than anything, this gives off the impression that the manufacturers have not paid close enough attention to the recommended dosage and scientific research conducted on these compounds. “Id like to start off by saying that Cerebral Health was top notch with shipping, customer service and seemingly quality ingredients. Why i say seemingly? Well, I’m far too new to racetams to be a fair judge, this being my first experiment with them. This being my first shot at racetams, i think the mistake i made was trying something with so many ingredients. It is very difficult to narrow down which are doing what. I really am interested in giving a standard piracetam regime a try next. If anyone has a handy link or a suggestion on what i would need to purchase for giving that a try, it would be greatly appreciated. The bottle comes with 60 capsules and costs $64.95. The manufacturers recommend that we take 1-2 capsules a day on an empty stomach, so the amount of time that the bottle can last really depends on your tolerance. Epiphany D1’s price tag is definitely on the more expensive side, which would not roll for people who have to catch up with rent and are under a budget. 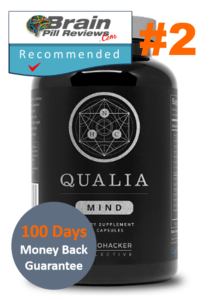 The overall formula is good, however the main downside to this product is that the ingredients are included in amounts much less than what is recommended. This makes us question whether the product is effective at all. Customers really haven’t reviewed this product in a while, however, past reviews suggest a mixture of emotions with both good and bad reviews. If the pricing doesn’t bother you then we don’t see why you shouldn’t go for it. 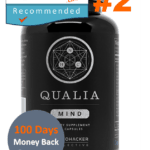 We recommend this product for those who have used nootropics before and are aware of which ingredients work for them. 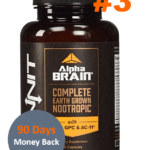 Due to the long list of ingredients in Epiphany D1’s formula, newbies will find it difficult to pinpoint exactly what works to give them that mental edge.